Car companies spend a great deal of time, and money, coming up with the name for a car. If they are marketing to the older set, the names sound regal, dignified. The Verano, the Continental, the Coupe De Ville (not to be confused with Cruella). For marketing to the younger generation, the goal is to come up with a name that is in vogue, cool, or in youth speak “kewl”, (lol). Some use hip (there are those who might say tragically so) looking hamsters that rap and dance, or some such youngish nonsense. 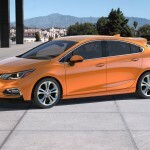 Hence the reason we know that the Chevy “Cruze” isn’t something meant to be seen regularly parked in suburban driveways or the country club parking lot. The name seems to say it all; the “Cruze” belongs in the same class as “adorbs”, or “lit”. The point is that the Cruze is something Chevy seems to be marketing to young people. There’s a problem however. Because this old man really liked it. Recently Chevy gave me a 2017 Cruze for a week. 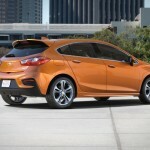 It was the new for 2017 hatchback model, something that is even more hyper focused to youth. Now, I am far out of the target market for the Cruze (sadly). The subcompact vehicle meant to fall in line with other small sedans; the Corolla, Jetta, Focus, Elantra. Despite being out of the target market however, the more I drove it, the more I could see myself owning one. 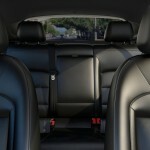 The Cruze is offered in a base L, LS, LT, Premier trims and has an optional RS package. 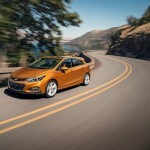 The Cruze Hatch has the LT, Premier and the RS package. The Hatch has been offered outside the boarders of the US, and for 2017 is now being set loose on the highways of America. In addition to the Hatch for 2017, the Cruze gets the Chevy Teen Driver mode. 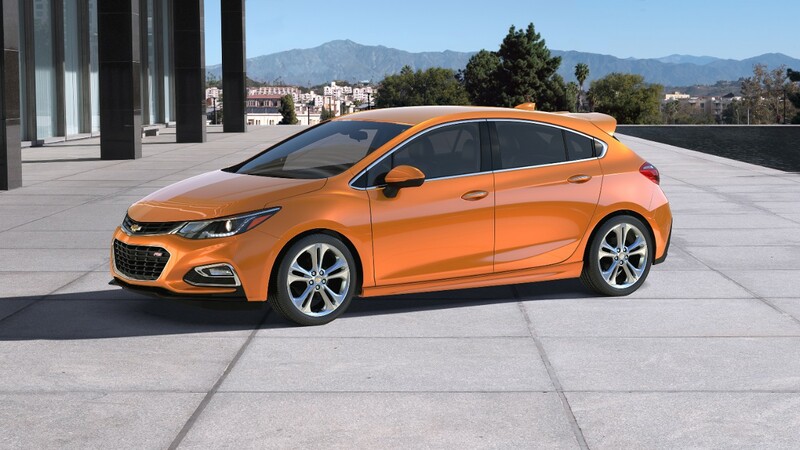 Beyond that, the Cruze is unchanged from last 2016’s complete redesign. 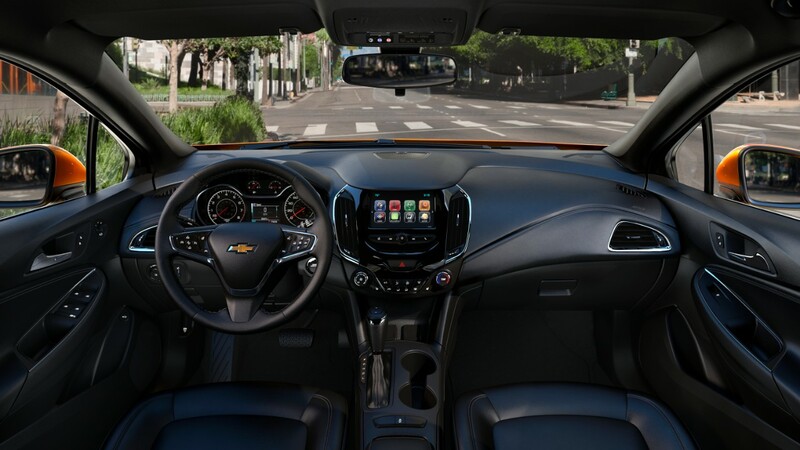 The base Cruz L comes standard with AC, automatic headlights, remote locking and unlocking, Bluetooth, OnStar, a rearview camera, and a MyLink infotainment system with a 7-inch central touchscreen and Apple CarPlay and Android Auto smartphone app integration. There’s also a tilt-and-telescoping steering wheel, 60/40-split folding rear seatbacks, stop 15-inch steel wheels. The LS adds a front center armrest and carpeted floor mats and has a bunch of dealer-installed options. The LT upgrades the headlights, adds LED running lights, cruise control, a rear center armrest with cupholders, steering wheel controls, a six-speaker audio system with satellite radio, with 16-inch alloy wheels. The Hatch adds a cargo cover and rear spoiler. The LT has an optional Convenience package with heated front seats, eight-way power driver seat and remote engine start with keyless ignition and entry. The Premier adds beefed up suspension, a heated steering wheel, leather upholstery, exterior chrome accents, and 17-inch wheels. For the LT and Premier levels, you can option in the RS Appearance package. This adds sporty body accents including a rear spoiler, and on the Premier level 18-inch wheels. 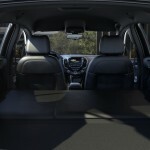 There’s also the Sun and Sound package with a sunroof, color driver info center, and an 8-inch center touchscreen display and a nine-speaker Bose audio system. You can also add a navigation system on the Premier as part of this package. The LT and Premier can also option in the Driver Confidence package with rear parking sensors and blind-spot monitoring with rear cross-traffic alert. On the Premier you can add the Driver Confidence II package with automatic high-beam headlight control, forward collision warning, and lane departure warning and intervention. Finally for the Premier level the Enhanced Convenience package is available. 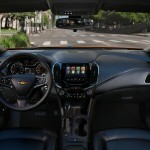 This adds an auto-dimming rearview mirror, automatic climate control, heated rear outboard seats, wireless personal device charging and a 110-volt, household-style power outlet. Under the hood a 1.4-liter inline-4 cylinder turbocharged engine producing 153 horsepower and 177 lb-ft torque, powers the Cruze. A six-speed manual is standard and a six-speed automatic is optional. Inside there is plenty of room. A bit more than others in its class. Unlike others in its class however, there is no “hot hatch” variant. The RS option adds only sporty accents, but changes nothing under the hood. Still, the Cruze Hatch is just fine for everyday use. It may not win any stop light drag races, but the power under the hood is more than adequate. I had the Premier level for my week. 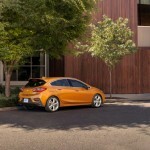 After that week, I found that I really enjoyed the Cruze hatchback. It’s well made, has a lot of tech, and is priced affordable enough to appeal to the masses. A bit odd considering that this car is marketed to people half my age. For those looking for a small sedan or a nice little hatchback, no matter your age, the Chevy Cruze should be on your list. I mean IDEK what most of what youth speak stands for, or if the young peeps might consider the Cruze TOPE, or at least on fleek, but after my week with the Cruze, I know I’m now a fan.